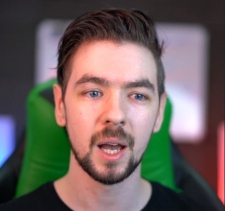 Sean 'Jacksepticeye' McLoughlin is taking a break from making YouTube content to focus on his mental health. McLoughlin published a video on July 11th in which he discussed recent hardships and unhappiness with the work he’s created lately. The creator discusses his current mental state and how there’s a lot of stuff happening out of the public eye. He also has a two month trip to Los Angeles just about to begin, he thinks this is the best time to have time away from creating and focus on his own wellbeing. This will be the first time McLoughlin has taken time away from the platform after constantly uploading daily for the past four to five years. Talking about daily uploads, he said that it’s not the ideal working condition as at times he can isolate himself for a number of weeks and not leave the house. “For the last two weeks, I don’t think I’ve left my house at all to go do anything. I don’t really like doing that, and it gets to you after a while. Doing the same videos over and over again kind of weighs you down.” McLoughlin explained. Following on from his break, he has put forward very strongly that it will only be a few days long and once he’s settled down in Los Angeles, uploads will resume as they were before. YouTube has been a difficult place to deal with over recent years, creators face constant issues with the algorithm affecting how accessible content is. Taking time away is a risk for many creators, especially with how high competition is. Fellow creator Shane Dawson reached out to McLoughlin and thanked him for speaking out about ongoing issues that a lot of creators face within the community. A number of creators such as Elle Mills and Katie Morton have previously spoken about mental health issues as a creator and their experiences with burnout. Kati Morton: "The ability to reach and help so many people via YouTube is invaluable"